Roger Federer is one win away from a "special 20" in Melbourne. The Swiss will face Marin Cilic in Sunday's Australian Open final, with the opportunity to win his 20th Grand Slam championship and sixth at Melbourne Park. 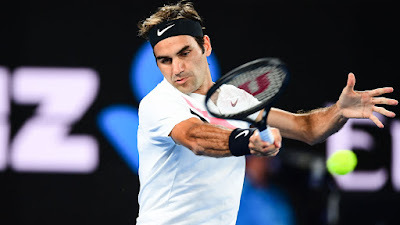 Federer, the defending champion at Melbourne Park, booked his place in a 30th major final when leading 6-1, 5-2 against South Korea’s Hyeon Chung, the Next Gen ATP Finals winner, who retired due to blisters on his left foot. "20 times special," said Federer. "It would be amazing. I can't believe how fast now the week has turned out to be. It ain't just an easy trip to the finals. There's always a lot of work that goes into it during the tournament, focus, and also preparation beforehand. For many weeks and months before, you try to put yourself in the position, are you going to be ready in case a good semi-finals or quarter-finals match at the Australian Open, so forth. "This is something you sort of plan from a long time ago. That's why when it does happen, it's a great feeling. Rewards the hard work in my team. It shows us that we did a lot of things right in the off-season, as well. That always gives you confidence, especially moving into the semis and finals when you're starting to hit the ball very nicely after the first few matches where it's always a bit more difficult." The 36-year-old Federer will contest his seventh Australian Open final (5-1) against sixth-seeded Croatian Marin Cilic on Sunday night. It will be a repeat of last year’s Wimbledon final, which Federer won in straight sets against Cilic. 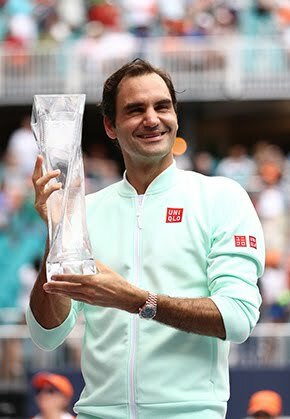 Federer has an 8-1 ATP Head to Head series lead over Cilic, with the Croatian's lone win coming in the 2014 US Open semi-finals, when he went on to win his only major title (d. Nishikori). Twelve months ago Federer was preparing to face his greatest rival, Rafael Nadal, in the final at Melbourne Park, both at the climax of a wonderful comeback from their respective injuries and time away from the Tour. 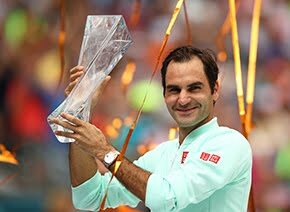 The past year has seen Federer take his Grand Slam tally to 19, with victories in Melbourne and Wimbledon, and come close to reclaiming No. 1 in the ATP Rankings. The Basel native has returned to this position in Melbourne with a near-perfect run through the draw, not dropping a set in his bottom half passage. There was much excitement around his semi-final with the 21-year-old Chung, who had upset Alexander Zverev and Novak Djokovic to reach his maiden Grand Slam semi-final. The Next Gen ATP Finals champion was thwarted by his blisters, but not before Federer had a chance to glimpse the right-hander's potential. "I thought the first set was normal," Federer told Jim Courier, in an on-court interview. "I couldn't tell what was going on with my opponent. In the second set I felt he was getting slower. He's had a problem with the blister. I've played with blisters in the past a lot, and it hurts a lot. At some point it's too much and you make things worse. Clearly I'm happy to be in the final but not like this. He's had such a wonderful tournament. "Fighting was a problem today. I could tell something was wrong, but he has a great composure. I think he's going to achieve next level excellence - Top 10 Rankings for sure. I can see why he beat Novak and Zverev. He's going to be a great, great player."